Learn about the evolution of Annex Markets, from humble beginnings in 1976 to New York City’s premier outlet for unique antiques, vintage clothing and collectables. 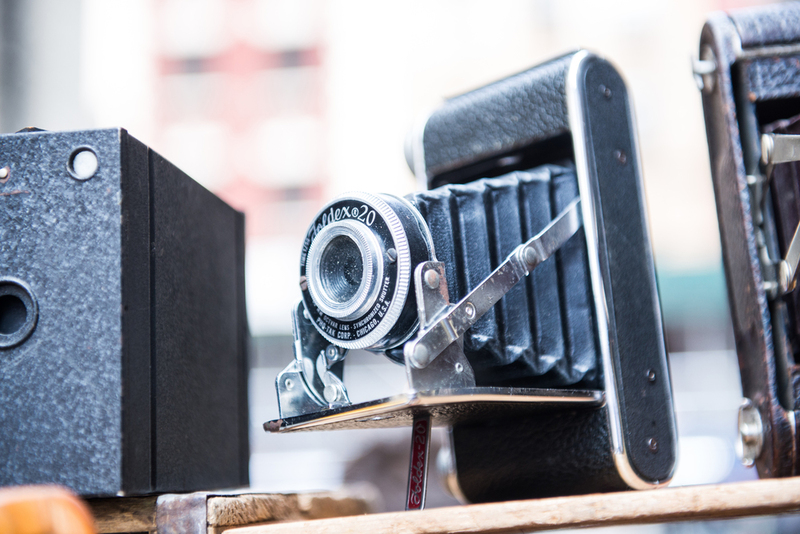 Annex Markets—beloved New York City destinations for New Yorkers and tourists alike. Annex Markets started in 1976 as a penny-jar investment on an estranged corner lot in Chelsea by native New Yorker Alan Boss. Having marshaled 11 vendors for the market's first weekend, Boss shaped Annex into an outdoor shopping Mecca featuring 100s of vendors and known to treasure hunters worldwide. Annex Markets continues to evolve. Its venerable Chelsea Flea Market location remains a destination location for celebrities, prop masters, set designers, fashion designers, artists, antique-lovers, decorators, architects, and others. It’s been featured countless times in global print media and as the backdrop for movies and commercials, including recent HGTV and A&E programs. Boss opened the famed indoor market known as The Garage located at West 25th Street between Sixth Avenue and Seventh Avenue. After almost four years of planning with community groups and city and state agencies, Hell’s Kitchen Flea Market (#hkfm, #hkflea, #hellskitchenfleamarket) opened on West 39th Street at Ninth Avenue. After almost 30 years of outdoor commerce-delight and top-notch haggling, most of the original Annex locations along Sixth Avenue in the West 20s were displaced by high-rise residential buildings. In its 20th year of operation, The Garage closed—a casualty of real estate development—and its vendors merged with Boss's outdoor market on the uptown side of West 25th Street between Sixth Avenue and Broadway, Chelsea Flea Market (#chelseaflea). Hell’s Kitchen Flea Market consolidated with Chelsea Flea Market after nearly 16 years on West 39th Street. $1 admission at Chelsea Flea Market gives you access to up to 135 vendors and helps us defray the cost of the new pavement and fencing. Annex Markets continues to be a must-see destination for New Yorkers and visitors alike. Though its markets' locations and numbers have shifted over the years, the Annex spirit is stronger than ever as people stick together and keep its treasured experience alive and kicking. 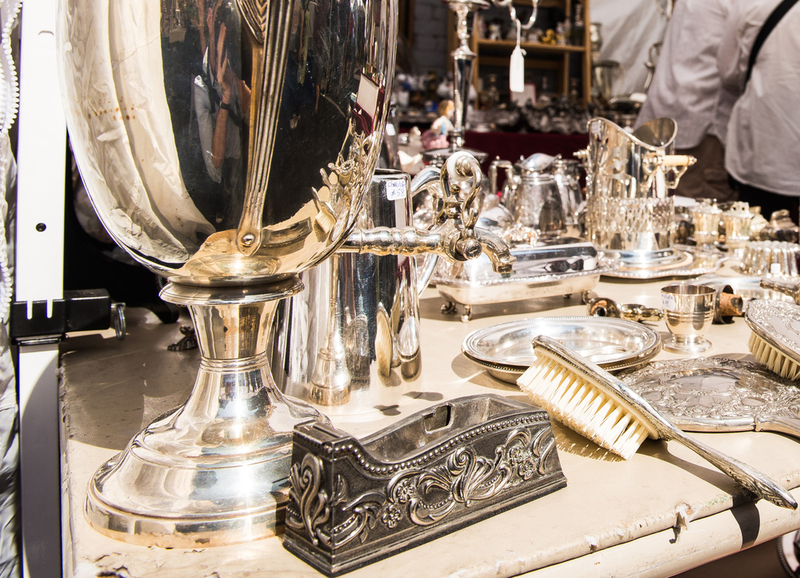 Chelsea Flea Market: 6:30 a.m. – 6 p.m.
Chelsea Flea Market will be open Thanksgiving Weekend, Christmas Eve, Christmas Day, New Years Eve, and New Years Day.